It’s just another day, you’re talking home from school, backpack slung over one shoulder. The birds are singing, the sun is overhead, the trees are swaying gently in the breeze. The neighborhood you are walking through has houses lining the street, and some people are milling about. You pass a man walking his dog, a woman trimming her rosebushes, and far overhead you have a spaceship delivering supplies from earth. WHAT!? Well, the world I just described to you probably sounded familiar, expect the spaceship. But guess what, the world I just described is the one envisioned by NASA that could be a reality in another fifty or so years. Welcome, my friends, to Mars! The idea is not at all unheard of in the scientific world. NASA has been working towards terraforming Mars for quite a while. In a nutshell, NASA hopes to transform Mars from the cold, dry planet filled with toxins to a planet almost identical to earth. While that doesn’t sound possible, NASA believes it is. And here’s how they could. Mars’s atmosphere is very thin, causing the planet’s surface to be extremely cold and impossible for life. NASA’s first step is to use a fairly new piece of technology called CRISPR, a gene editing tool. First off, a bit of explanation. Genes are part of DNA. 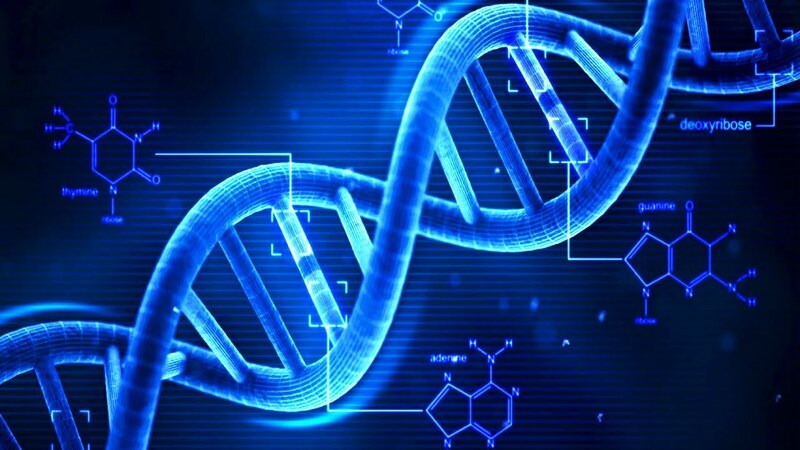 DNA in pictures is the spiraling helix shaped ladder made up of carbon, hydrogen, oxygen, nitrogen, and phosphorus. Each ladder ‘rung’ of DNA is made of an alternating sugar and phosphate molecule (shown below) and the ‘steps’ are made of hydrogen, nitrogen, carbon, and oxygen, minus the phosphorus. The DNA ladder is connected down the middle by chemical hydrogen bonds. Blah, that’s a mouthful. Anyway, the point is CRISPR is a new form of technology that allows us to alter and remove parts of DNA, or genes, as they’re commonly called. Now, let’s explain how this new technology is usable in space. The first step is to pump tons and tons of greenhouse gases like oxygen, carbon dioxide, and water vapor, all found in earth’s atmosphere. These new gases would help bulk up Mars’ atmosphere, thus warming the planet and preventing harmful space elements from entering through onto the planet. Then NASA hopes to introduce countless billions of microbes (forms of bacteria) to the red planet that could thrive and grow in Mars improved (yet still harsh) environment. The microbes would hopefully introduce new types of materials to the surface of the planet, and improve the atmosphere even more. These bacteria would be lab grown and engineered through CRISPR. CRISPR would allow scientists to collect genes from different types of bacteria and combine them, making an entirely new type of bacteria capable of surviving Mars and building its atmosphere up. Not only that, they also believe that we may be able to genetically alter humans to withstand some of Mars’ harsh conditions that scientists may not be able to get rid of. After years of bacteria growth on the surface, scientists believe we might be able to introduce small, easily grown plants, then eventually trees. This new vegetation would feed off the Carbon dioxide filled air of Mars and produce new oxygen for us to breath. Then, we could finally send humans to the red planet to live. Also, water can only exist in two states on Mars: gas and solid, steam and ice. That does not provide the necessity of water for life. The warming of the atmosphere would cause the ice caps of mars to melt, giving us fresh water ocean and lakes to water the planet’s dry, rocky surface. After all of this has been accomplished, we can start making colonies. These colonies would live in small terraformed ‘bubbles’. Why not just terraform small bits of Mars at a time? 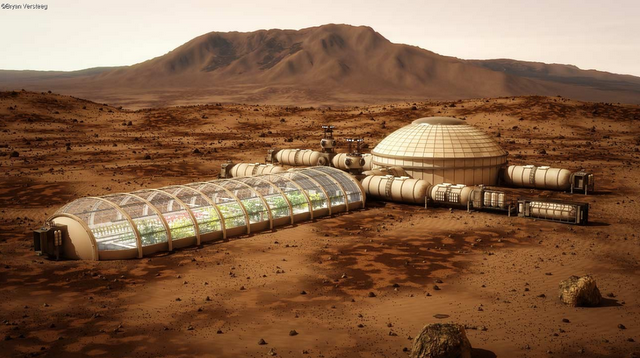 Scientists are coming up with ways to build miniature biodomes where we could plant trees and flowers, grow food, and allow for human habitation (above). Eventually, NASA hopes to design and construct robots and vehicles specifically designed for Mars exploration and human transport. Once that is complete, and we can at last send the first explorers to Mars, build our colonies, and eventually transform the surface of Mars to one like earth. For more information, please visit nasa.gov and click on the Journey to Mars tab. Thanks for reading!